Paper Divas would be delighted to assist you with amazing Christmas Party Invitations, Gift Tags and Personalised Christmas Cards. Make this Christmas personal, choose from 100’s of designs to customise, giving you that special touch to your celebrations to make Christmas even more memorable. 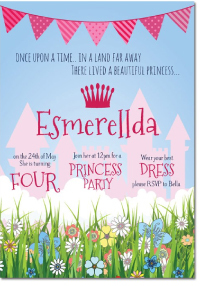 Why not be super organised and order your New Year's Eve party invitations at the same time to save on postage! We have a wonderful and extensive range of customisable Christmas cards that come in a range of themes, styles, and colours. 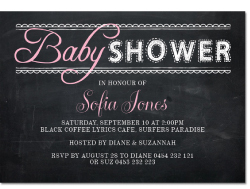 You can customise the invitations by adding a photo and specific wording. Feel free to browse our wide range of Christmas invites and choose the one that is perfect for you and your party. We also provide a range of matching lolly bags, gift tags, and thank you cards that will add that extra little touch to your party. The team at Paper Divas love the holiday season, and we want to help Australian families make their special events that little bit more exciting with our awesome range of specially designed event cards. If you would like to help bring on the season’s greetings with our themed and customised Christmas party invitations, we would love to hear from you. 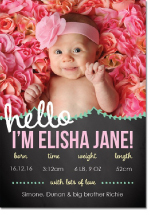 Please contact our friendly team of staff on 1300 088 854 and we can discuss how you would like to personalise your Christmas invitations. Alternatively, you can email our team at info@paperdivas.com.au or drop us a message on our contact page and we will get back to you with all the information you require to make your Christmas party invitations outstanding.